Shops and businesses across Greenwich closed early this afternoon as fears grew of a second night of rioting and looting across south-east London. While Greenwich remained largely untouched by Monday night’s violence, buildings in Woolwich were destroyed in the riot, while looters ransacked shops there as well as in the Charlton retail parks. There was also serious trouble in Lewisham. 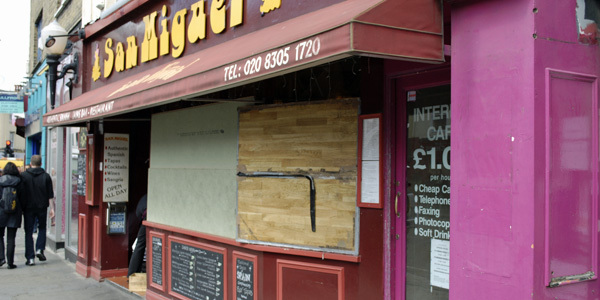 Most retailers on Trafalgar Road had their shutters up by 2pm on police advice, while Greenwich town centre businesses began boarding up their premises after rumours spread of youths gathering in Greenwich Park. Traders in Greenwich Market also packed up early. 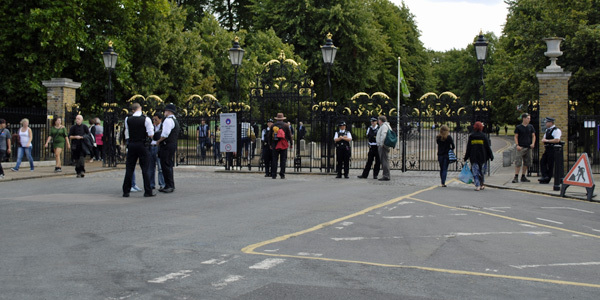 While the stories proved unfounded, police guarded the park’s St Marys Gate and the National Maritime Museum was closed to visitors. Most local pubs were also closed, although in west Greenwich, the Greenwich Union and Richard I re-opened after a short closure. Despite the worries, central Greenwich remained packed with tourists as usual, with park-goers not deterred by the rumours. Many shops in Blackheath Village and the Royal Standard also closed early, while the vast majority of Charlton retailers opted to shut their doors too. 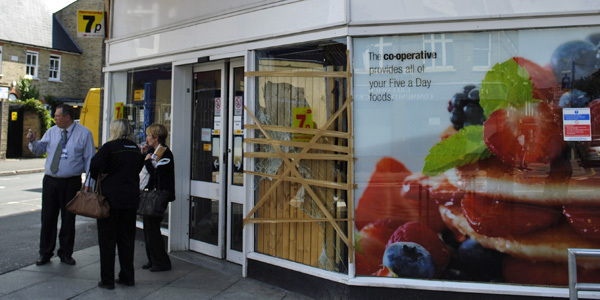 The Co-Operative Food on Trafalgar Road had a window smashed on Monday night, while Comet in the Millennium Retail Park was targted by looters. Further east, sports and electronic shops in Charlton’s Greenwich Shopping Park were ransacked, and PC World and Currys in the Stone Lake Retail Park daubed with graffiti. However, rumours carried by a local newspaper’s website of a fire at Asda were false, and the supermarket was open for business on Tuesday morning. Woolwich took the brunt of the violence, though, with the Great Harry pub in Wellington Street destroyed by fire, along with the Wilkinsons store on Woolwich New Road. 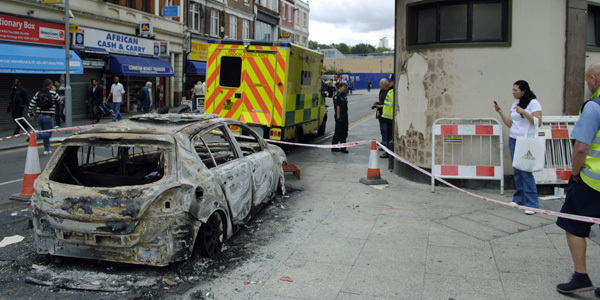 A police car was also set ablaze. Smoke still billowed from a branch of Blue Inc on Powis Street into the morning, with the town centre littered with abandoned tags, boxes and shop dummies. Eyewitness Sharon Bouchere, who runs Roses pub on Hare Street, said: “It was fairly quiet until darkness, and then great big groups of guys came along from either end of the road. Ms Bouchere said she worried for the future of the already-beleagured district: “These boys are robbing and looting their own areas. Now more people are going to be unemployed and more businesses will go under because they can’t afford to refurbish their shops. Even losing a day’s trade can have a devastating effect. Deirdre Moore, who manages the Seventh Sun shop in Hare Street, said she and her husband had to collect the tenant who lives above their shop because of looting at the jewellers next door. Borough commander Richard Wood said: "The sheer criminal behaviour we witnessed last night in Woolwich and other areas across the borough is utterly unacceptable and I will do everything in my power to ensure that those involved are caught. 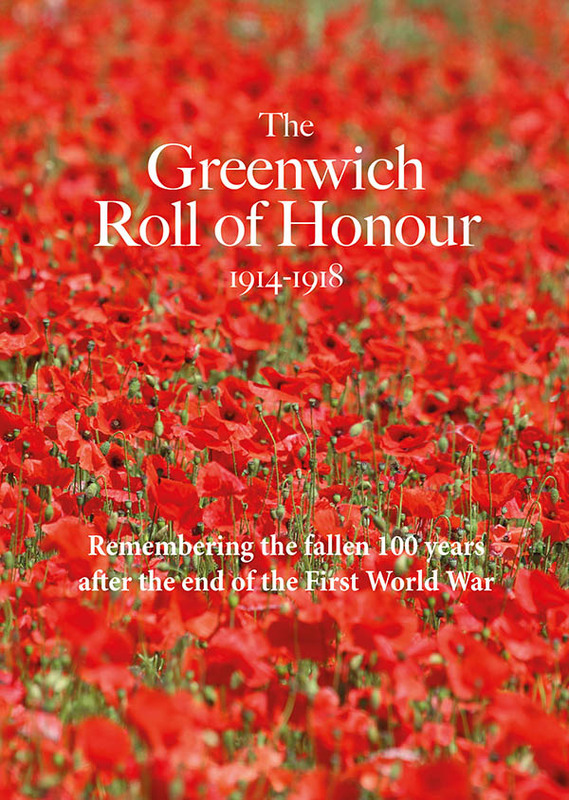 “Brave police officers from the borough of Greenwich and from other units within the Metropolitan Police have been facing challenging circumstances in one of the worst nights this borough has witnessed in a long time. Police have asked anyone with information to call the Operation Withern investigation team on 020 8345 4142. Greenwich Council leader Chris Roberts said: "The destruction and looting which I witnessed first-hand in Woolwich town centre last night are criminal acts, no more and no less. “What happened in Woolwich is clearly part of a wider tale of disruption and criminality but this does not in any way reduce the Council's determination to act where it can. 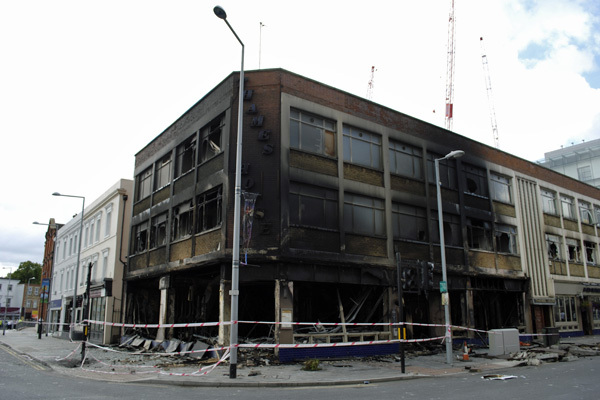 “Businesses are determined to rebuild and Greenwich Council will give them every assistance to get back on their feet." Opposition deputy leader Nigel Fletcher said his Conservative colleagues would offer their full support. I can’t believe the yobs trashed the new Wilkinsons! Tossers!!! They said they haven’t got jobs, but how old are they? If they wanna jobs in age of 12 they can start clean the mess they have done it. Really not nice kids and good luck for the future to find a job with Criminal History Records.